Rooms from $84.14 per night. 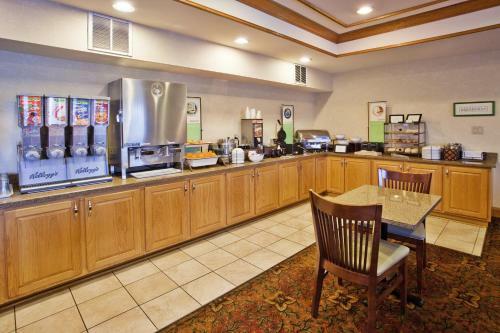 Free Wi-Fi free breakfast an indoor pool and a relaxed country ambiance help make the non-smoking Country Inn & Suites by Radisson McDonough one of our guests' favorite area properties. This three-floor hotel offers free Wi-Fi throughout and all 57 non-smoking rooms have microwaves mini-fridges cable TV and comfortable beds. The hotel provides a free continental breakfast each morning and a free newspaper to go along with it. For the road warrior business services such as copying and faxing are available. 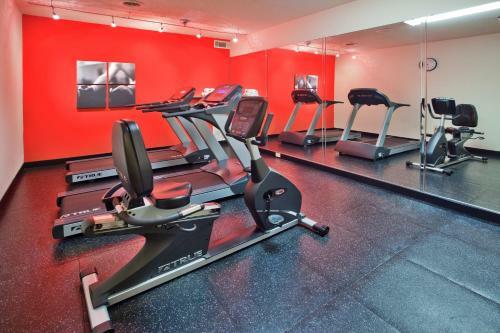 When you get some downtime head for the indoor heated pool and hot tub or the on-site gym. There's even a lending library. Parking is free. The Country Inn is off of I-75 just 20 minutes from Atlanta Motor Speedway and 25 miles from Hartsfield-Jackson Atlanta International Airport. Historic downtown McDonough known as the Geranium Capital for the town's annual geranium festival is three miles from the hotel and downtown Atlanta is a 40-minute drive. Add Country Inn & Suites By Radisson Mcdonough Ga to your free online travel itinerary.